The STUBBY is a bit different then other boards. It has a lower entry rocker and wider outline with wide point back around 2 inchs. It has more volume then the Whip, but not short and thick like the Fly or Nitro fish models. You can ride the STUBBY 2 inches shorter then your standard shortboard and 1/4 to 1/2 inch wider. 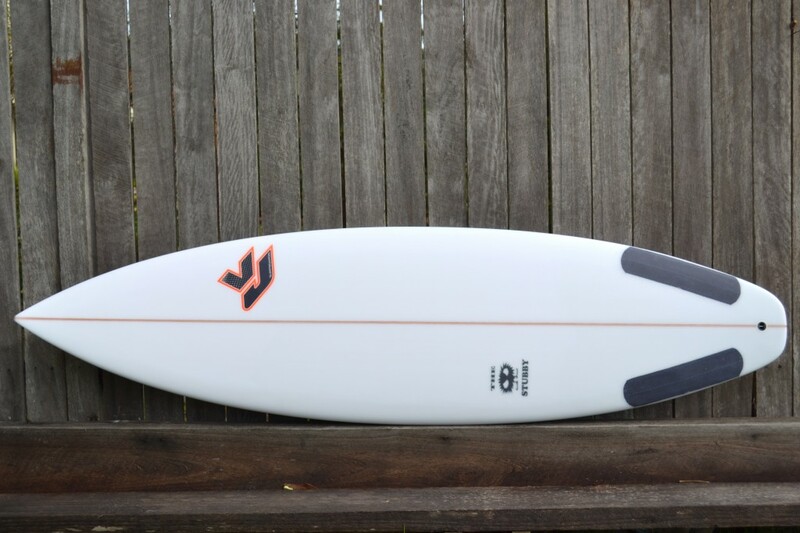 If your shortboard is 6’1 x 18 3/8 x 2 1/4 you would ride a 5’11 x 18 5/8 x 2 1/4 Stubby. We found the Whip was such a good all round rocket we just had to try it shorter and wider, and it works its super fast fun board for waist high to little over head. Being shorter then the Whip helps you do tighter arcing turns in small waves. Features single to double concave to vee in tail and best in Squash or swallow tail. Scott Dennis // AKA Whip from Jordan Jaffrey on Vimeo.